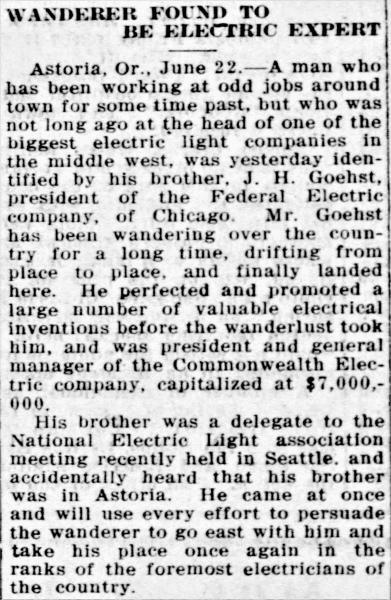 Federal Signal was founded as the Federal Electric Co. in Chicago by brothers John and James Gilchrist and a partner John Goehst. 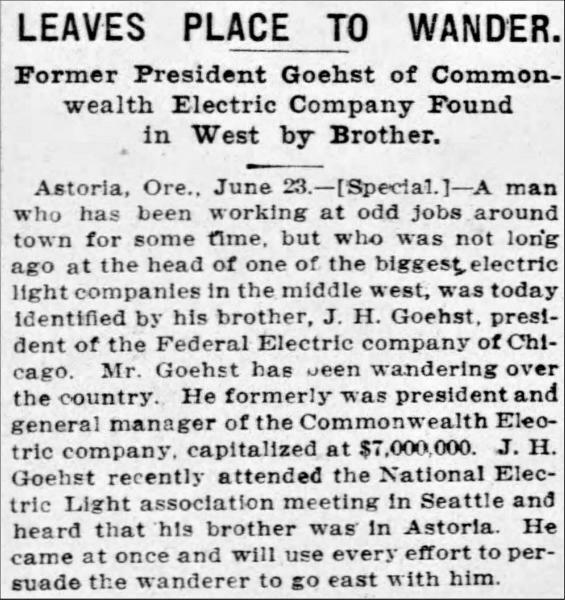 At the turn of the century, Goehst and John Gilchrist worked for the burgeoning Commonwealth Edison Co., Goehst as an electrical engineer and Gilchrist as assistant to the manager of electricity sales. 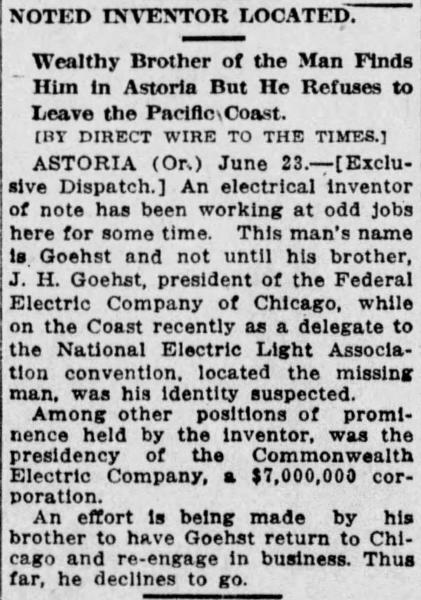 With $10,000 in capital, Goehst's technical skills, and Gilchrist's sales savvy, the team came up with the idea to develop and market store signs lit by incandescent lamps. 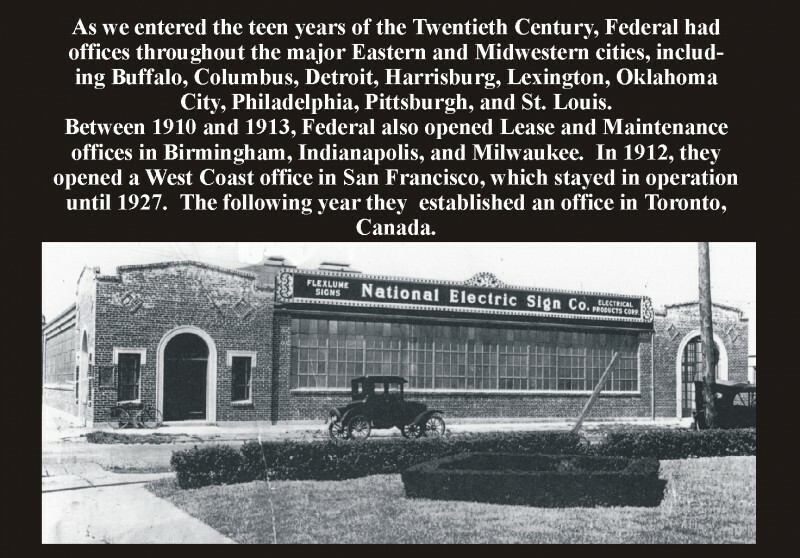 Incorporated in 1901, the Federal Electric Co. was one of the first electric sign companies in the nation. 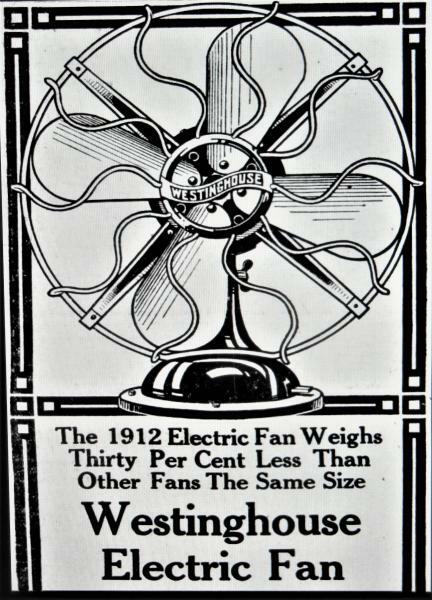 In 1915, the company started making sirens. 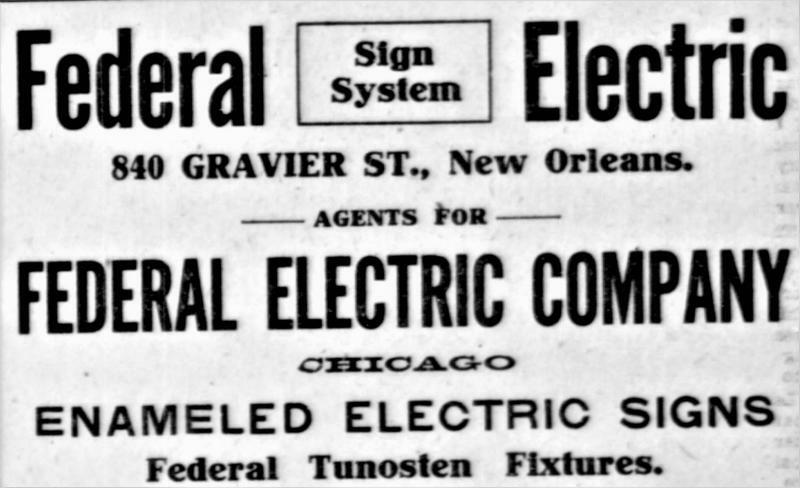 After spending a few years under the control of Chicago utilities titan Samuel Insull, the company became independent again in the 1930s, when it became the Federal Sign & Signal Corp. In 1958, Federal moved its main plant from 87th and State Streets on Chicago's South Side to Blue Island, the suburb a few miles to the southwest. By the middle of the 1960s, the company—a leader in the field of electric signs—was doing about $30 million in annual sales and had about 1,500 employees. After changing its name to the Federal Signal Corp. in 1975, the company's general offices were moved to suburban Oak Brook. By the end of the 1990s, when Federal Signal was a leading manufacturer of emergency vehicles and street sweepers as well as signs and sirens, the company approached $1 billion in annual sales and employed about 1,500 people in the Chicago area. 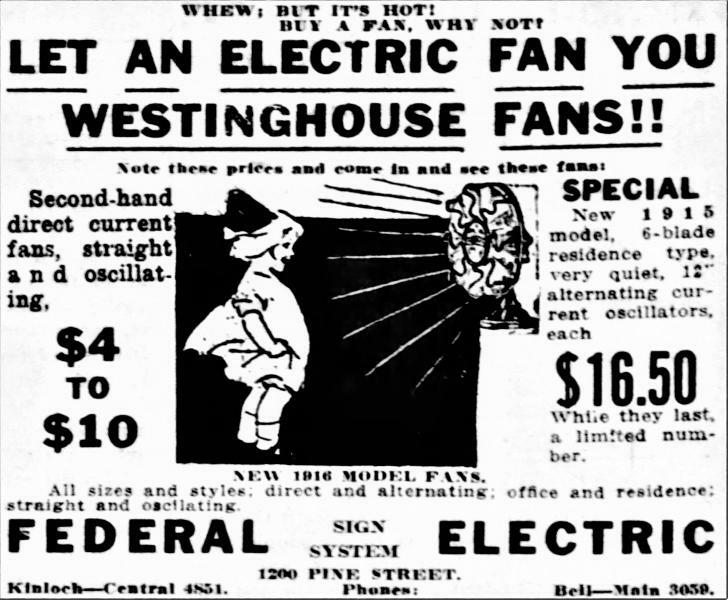 As electricity became common in businesses across the Midwest, Federal Electric's sign sales grew, and, in 1915, the company diversified its product line by purchasing the patents for an electrically operated siren. 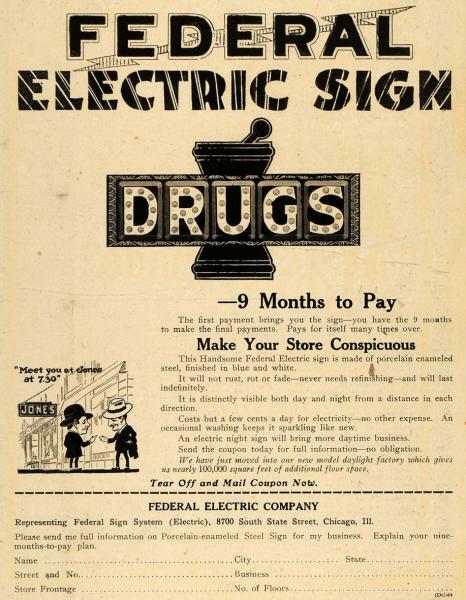 Federal Electric sold its sirens primarily to police and fire departments as well as coal mines, which needed an efficient way of warning miners of emergencies, while its electric light signs were used primarily at pharmacies, stores, and the kiosks of early nickelodeon movies. 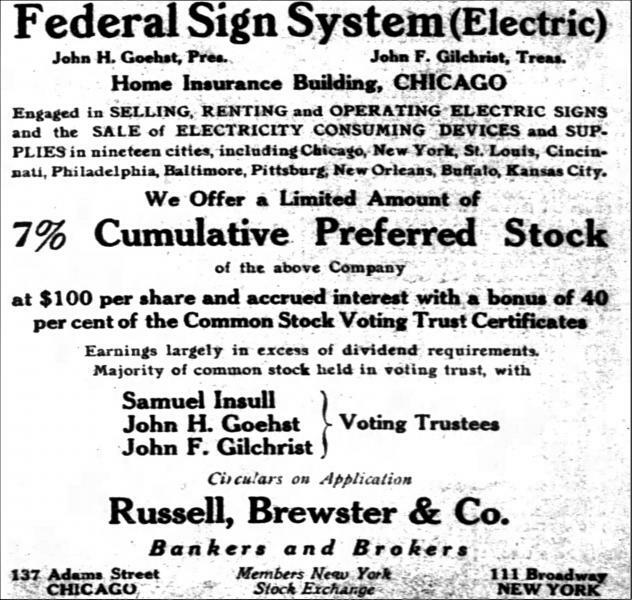 During this time, Federal Electric came under the ownership of Commonwealth Edison, eventually becoming a part of the utilities empire owned by Commonwealth founder Samuel Insull. 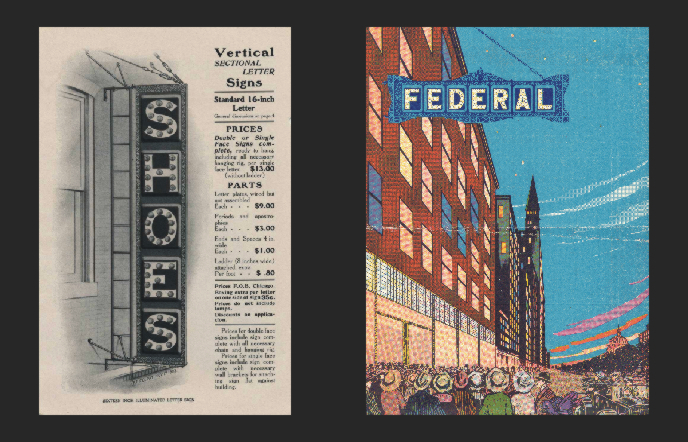 In the early 1930s, however, Insull's empire crumbled under the weight of the Great Depression, and Federal Electric was spun-off as an independent business under the name Federal Sign and Signal Corp. The company's sales continued to grow, as new applications were discovered for its signs and signals. During World War II, Federal provided sirens to warn Londoners of incoming air raids, and, after the war, the company's signs were used to illuminate Las Vegas casinos. 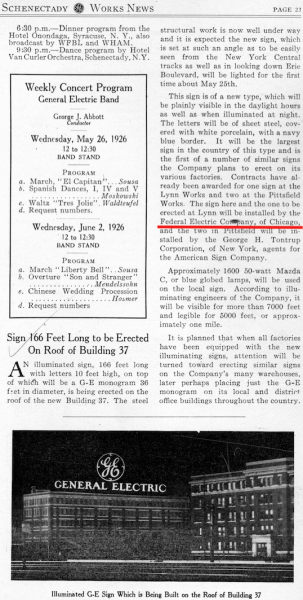 By 1961, Federal Sign and Signal had gone public, trading on the NASDAQ market. 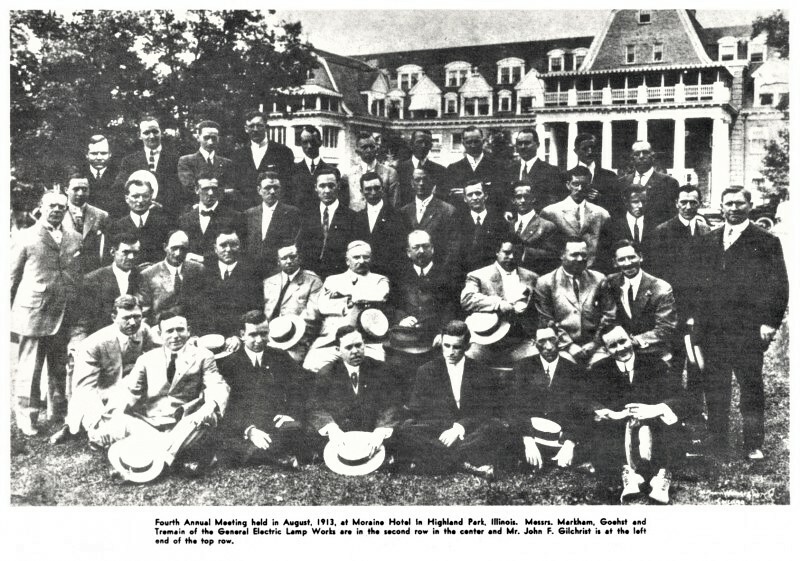 Net income reached $1 million that year, and sales hit a record $15 million. In 1958, Federal moved its main plant from 87th and State Streets on Chicago's South Side to Blue Island, the suburb a few miles to the southwest. By the middle of the 1960s, the company—a leader in the field of electric signs—was doing about $30 million in annual sales and had about 1,500 employees. After changing its name to the Federal Signal Corp. in 1975, the company's general offices were moved to suburban Oak Brook. By the end of the 1990s, when Federal Signal was a leading manufacturer of emergency vehicles and street sweepers as well as signs and sirens, the company approached $1 billion in annual sales and employed about 1,500 people in the Chicago area. 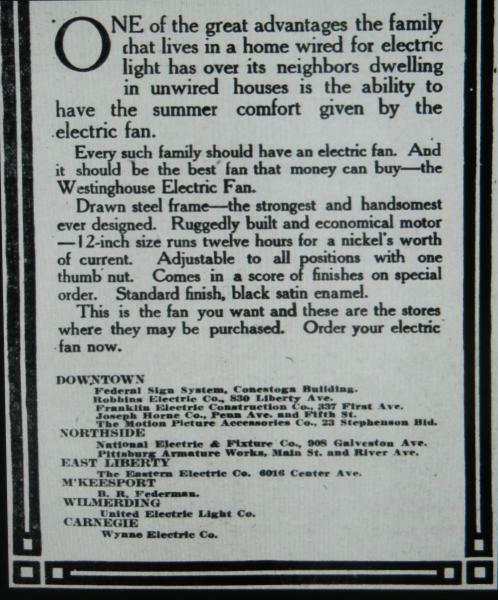 Also in 1912: Note the first store listed selling Westinghouse fans. 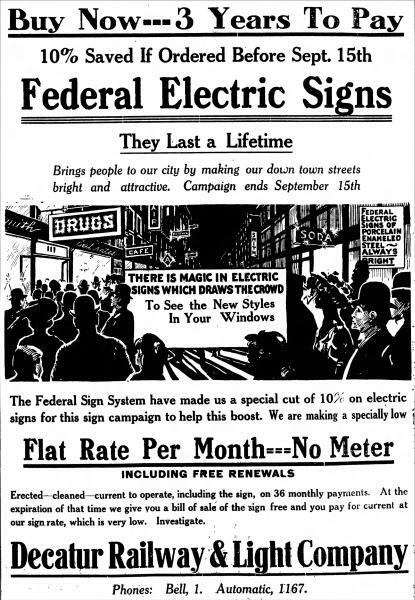 Is that the same Federal as the Federal Signal Company that made the Air Raid, Tornado, Fire Truck, and Police Car sirens for years? Cool, I didn't know they did fans and signs as well. Go Figure. 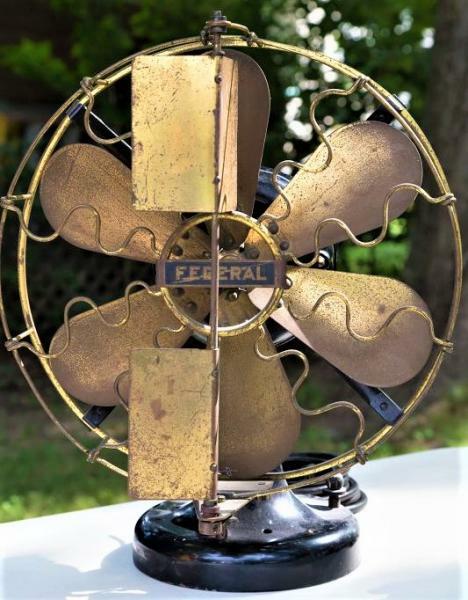 Would that be Jeff Rusnak's Federal Vane fan ? If so that's the only federal branded fan I've ever seen. That would be correct Geoff. Excellent info MIke! Reallly enjoying your posts. My first job as a child in the 70's was for a family that owned "The Fire Barn" in Milford NH. They were the only dealer of Fire and Police equipment in NE at the time. We carried the entire line of Federal sirens and lights. I loved that family and the job but never knew it was the same Federal! As always, appreciate the info! Page processed in 0.1731 seconds (12% database + 88% PHP). 27 queries executed.